Enchanted Evening Barbie is #3 in the Hallmark Barbie ornament series. Measures 4 1/2 inches high and is on a base, allowing for standing display. 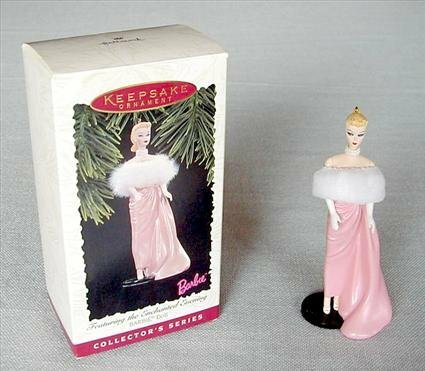 Items Similar To "Enchanted Evening Barbie # 3 Hallmark Barbie Series~1996 Christma..."